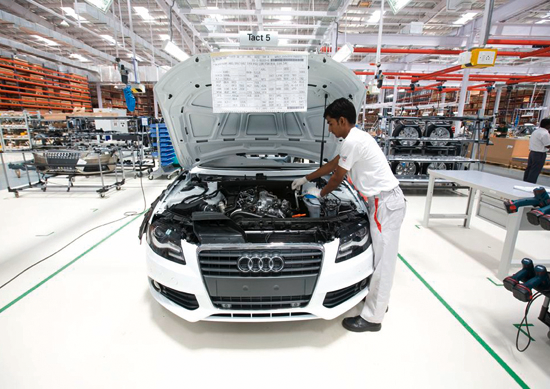 While the third largest luxury carmaker in the Indian market, Audi India has been considered as an underdog by many but the fact of the matter is that this German auto major is catching up pace real fast. 18,000 sq ft showroom which will have close to 12 cars on display. Moreover, the layout of the showroom is based on the unique Audi Terminal concept. The company is expecting to make its presence felt in 18 locations by the year 2011. Andre Konsbruck, Executive Director Region Overseas, AUDI AG said that the Indian mark is a very important market for Audi and the company is geared up to launch world class models along with offering world class experience to the Audi consumer. He also said that the growth that the company will file in this year will mark a beginning of a new era for Audi.